1. וַיְדַבֵּר ה’ אֶל מֹשֶׁה לֵּאמֹר נָשֹׂא אֶת רֹאשׁ בְּנֵי גֵרְשׁוֹן וְגוֹ’. רַבִּי אַבָּא פָּתַח, (תהלים לב) אַשְׁרֵי אָדָם לֹא יַחְשֹׁב ה’ לוֹ עָוֹן וְאֵין בְּרוּחוֹ רְמִיָּה. הַפָּסוּק הַזֶּה אֵין רֹאשׁוֹ סוֹפוֹ, וְאֵין סוֹפוֹ רֹאשׁוֹ. וְיֵשׁ לְהִסְתַּכֵּל בּוֹ, וְכָךְ פֵּרְשׁוּהוּ. 2. בֹּא רְאֵה, בִּשְׁעַת תְּפִלַּת מִנְחָה הַדִּין שׁוֹרֶה בָּעוֹלָם, וְיִצְחָק תִּקֵּן תְּפִלַּת מִנְחָה, וּגְבוּרָה עֶלְיוֹנָה שׁוֹלֶטֶת בָּעוֹלָם, עַד שֶׁבָּא וְנִכְנָס הַלַּיְלָה, בִּשְׁבִיל לְקַבֵּל אוֹתוֹ (לַלַּיְלָה). וּמִזְּמַן שֶׁשּׁוֹרָה תְפִלַּת מִנְחָה, נִפְרָד הַשְּׂמֹאל לְקַבֵּל (אוֹתוֹ) וּמִתְעוֹרֵר הַלַּיְלָה. 3. אַחַר שֶׁמִּתְעוֹרְרִים כָּל אוֹתָם שׁוֹמְרֵי הַפְּתָחִים שֶׁבַּחוּץ, כֻּלָּם מִתְעוֹרְרִים בָּעוֹלָם וּמִתְפַּשְּׁטִים, וְכָל בְּנֵי הָעוֹלָם טוֹעֲמִים טַעַם מָוֶת. 4. וַהֲרֵי נִתְבָּאֵר. בַּחֲצוֹת הַלַּיְלָה מַמָּשׁ מִתְעוֹרֵר הַשְּׂמֹאל כְּמִקֹּדֶם, וְשׁוֹשַׁנָּה הַקְּדוֹשָׁה מַעֲלָה רֵיחוֹת וּמְשַׁבַּחַת וּמְרִימָה קוֹל, וְאָז עוֹלֶה וְשׁוֹרֶה הָרֹאשׁ לְמַעְלָה בַּשְּׂמֹאל, וְהַשְּׂמֹאל אָז מְקַבְּלָהּ. In Zohar Naso we find the Idra Raba, which is a special study that Rabbi Shimon is sharing with his students. The Idra Rabba reveals the secrets of the world of Atziluth and how the process of creation started. Because of its high level, Kabbalists read the entire Idra Rabba on the night of Shavuot. Many also include the Idra Zuta. The Daily Zohar will provide the complete text of the Idra Rabba on the website and I suggest downloading, printing and reading it after completing the reading of the Bible on the night of Shavuot. Divide the pages between few friends so it will be quicker to read/scan. When all of you finish, it will be considered as if you all read the entire Idra. In the beginning of the Idra Rabba, we read that Rabbi Shimon sat down and cried. There are many places in the Zohar that tell us about his cries. Rabbi Shimon was a Tana (a spiritual leader who was able to control nature and resurrect people from the dead). Then, why does he cry so many times in the Zohar? Crying is one of the highest spiritual connections. It relates to the level of Chokmah, where pure light exists. Connecting to the Light of Chokmah directly, meaning without restriction or the aspect of Chassadim, can turn the connection to negative. Chokmah has the highest level of Light and Malchut that has complete lack of light has the strongest desire for it. The Light of Chokmah that entered the first vessel broke it and left it with its impression and desire to have it again in a restricted way. When a person cries in the process of connecting to the Light of the Creator he may reach the level of Chokmah. That is why it is said that the gates of tears are never closed. Many people can cry in their prayers but in most cases they cry because of a physical pain or for something that they are missing. Very few can break through the spiritual curtains with their tears. Selfish reasons create gravity to Malchut and the spiritual tears cannot ascend to open the supernal gates for the blessings and light that could fulfill the vessel. There is a way to reach higher levels and draw all that is good for us. It’s described in the portion of Naso and demonstrated by Rabbi Shimon and his students in the Idra Rabba. In Naso we read that the heads of the 12 tribes brought offerings to the altar in the Holy Tabernacle. Immediately after that Moses came into the Tabernacle and could hear the voice speaking to him from above the Ark cover. We see that the Torah relates to both events together. These 12 offerings activated the Ark. It’s important to know that all 12 offerings were exactly the same. Unity and equality are keys for making higher connections. Rabbi Shimon sat and cried, gathered his students close to him and announced to them that “All depends on love”. 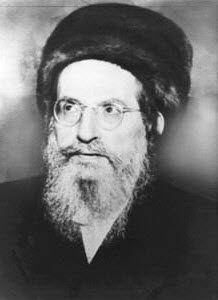 They were all in total unity and were able to create the vessel for Rabbi Shimon to draw the Light of the secrets of the higher world of Atziuth. Their connection was so high that they could hear angels around them. When Rabbi Shimon started talking and revealing the secrets the whole place shook. It shook because reaching a higher level of spirituality controls the light that holds all matter. This is why Rabbi Shimon caused the death of several people after leaving the cave. Obviously he didn’t mean to kill them but Rabbi Shimon’s surrounding energy was so strong that it broke the vessels of the people who couldn’t handle it. We should include in our prayers a wish for the gathering of all 12 tribes, the children of Israel and gather them from all the nations of the world into the Holy Temple in Jerusalem. Squeeze an honest tear or two to re-activate the flow of the Light and remove all darkness from this world, Today, Amen.